It took a night-in, take-out (that coincidentally happened to be Indian) and the company of friends for my wife and I to finally watch one of the best picture nominations from a year ago, Lion. 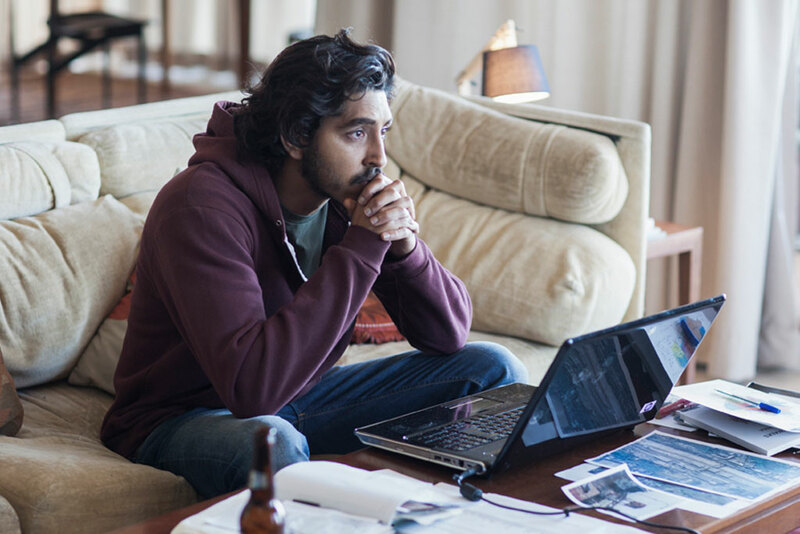 The film tells the true story of Saroo Brierley (Dev Patel), the heart-wrenching displacement from his family at a young age, and his subsequent winding journey home. The film begins back-dropped by the rugged landscape of rural India. Saroo’s life is humble but beautifully simple. 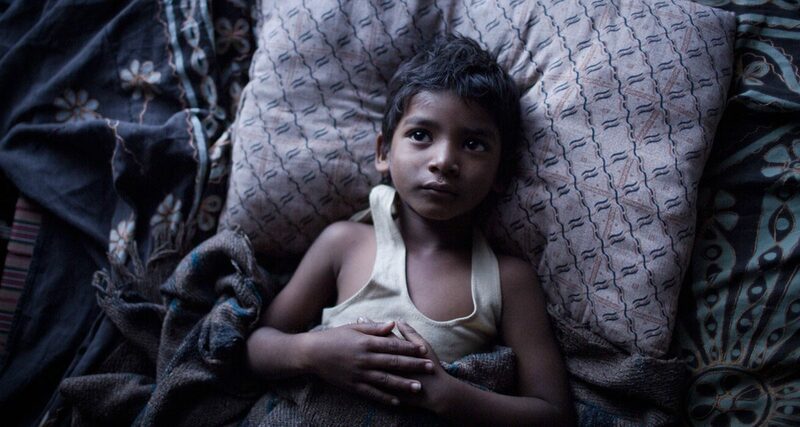 His mother is a laborer so to help the family Saroo and his older brother, Guddu, try to find work wherever they can. One evening, he and Guddu travel by train to the neighboring town for work. But after an ill-timed nap, Saroo wakes up alone and disoriented, his brother nowhere in site. With understandable fear and confusion setting in, 5 year-old Saroo boards another train hoping to correct his mistake. But to his dismay, it takes him farther and farther away. Shortly after this touching scene, the movie jumps to present day and we see 25 year-old Saroo in a different body of water, surfing off the coast of Australia. What is meant to be a serene moment in the grace of the waves is tinged with a feeling of lostness at sea. In some regards it brings to mind the reality that Saroo is just as homesick in Australia as he would be in the middle of the ocean. As an adult, it is evident that the metaphorical waves toss and turn as Saroo longingly scans the horizon for home. With only a handful of memories serving as his coordinates, his search is hopeless until he finds a map that could finally lead him home. The map in which he studies is not one he unfurls across a table but the release of Google’s new “Google Earth” feature in the mid-2000s. He plots and graphs, memorizes train routes and racks his brain for the fleeting memories of home. In his searching we feel the whiplash of his emotions; flashbacks of home are vivid in color, saturated with nostalgia and rooted in peace but are disrupted with shots of Saroo seemingly trapped in his apartment in a web of dead ends. Saroo knew about the land beyond the sea. He longed for it. And, spoiler alert, he makes it home. It is a triumphant return of the lost boy to his village, his culture, and his family. Kamla, Saroo’s mother, said that she was “surprised with thunder” when her son came home and that the happiness in her heart was “as deep as the ocean.” It’s hard not to cheer for stories like Saroo’s. And I think it’s because, in some regard, we all long for a sense of home and belonging; we’re all castaways longing for home. Although I tend to associate being far from home with Luke’s parable of the prodigal son, Lion feels more like the lost sheep parable verses before. In the parable that Jesus gives, we don’t know what happened to the sheep or how it got lost; all we know is that it is. Similarly, Saroo’s lostness wasn’t a turning against family or country but the folly of a 5 year-old boy who accidentally fell asleep and lost his way. That there is someone who knows our past and the baggage we carry, acknowledges its weight, and still promises to never leave, is a profound grace. Kind of like the reassuring words from a mother to her son as he plays in the tub, or the shepherd finding us in the brambles and our mess, or the good news of Jesus meeting us on our deserted island and sailing our restless souls home.